​Elaine has a BS degree and a Masters in Gifted Education. She recently retired from teaching elementary through middle school age gifted/talented children. Through the years Elaine worked with many creative/talented students. She always taught using cross-curricular activities so that her students had the opportunity to express themselves in an artistic/creative manor. 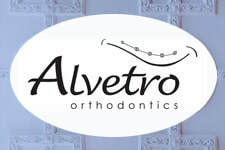 ​"I am looking forward to working with students/parents at the Hayner Arts Center." Parents and preschoolers will work together to create a simple art project that is based on a children’s book. ​Parents will gain ideas for home art projects. ​**This class will not meet on days when Troy City Schools are closed because of poor weather. Drop in after school for some art fun. 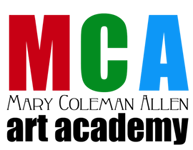 Students will learn about basic art techniques, as well as be exposed to art history, famous artists and art styles. Along with fun art projects, art games and puzzles will be available to students. A small after school snack will be provided. **This class will not meet on days when Troy City Schools are closed because of poor weather. ​Students will enjoy learning about the “grandfather” of Op-Art, Victor Vasarely, while they create a colorful multi-media work of their own. Young artists will have fun drawing and painting a tropical landscape. We will use brightly colored flat shapes just like the artist Paul Gauguin. 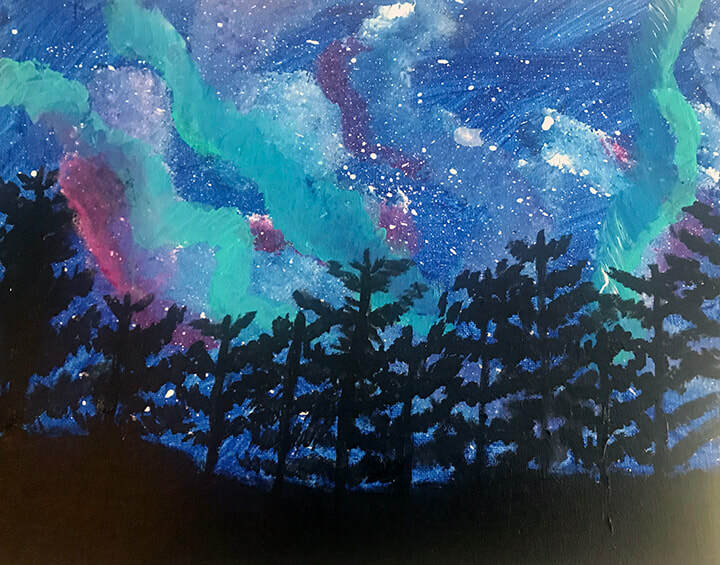 ​This class is a beginner Northern Lights acrylic painting lesson of an aurora borealis in the starry sky! We will be using natural sea sponges and a toothbrush to create this painting. Embrace your creativity. This art lesson will teach you to think outside the box! The goal is to use one page of a magazine to create something different. Allow yourself to stretch your imagination with a one page original collage. 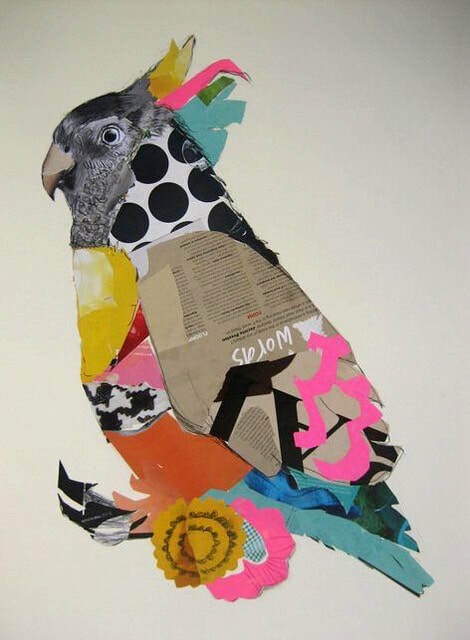 Abstract bird collage. Celebration Spring Bird- students will paint an acrylic spring landscape and then layer an abstract bird collage over the top for their finished piece. 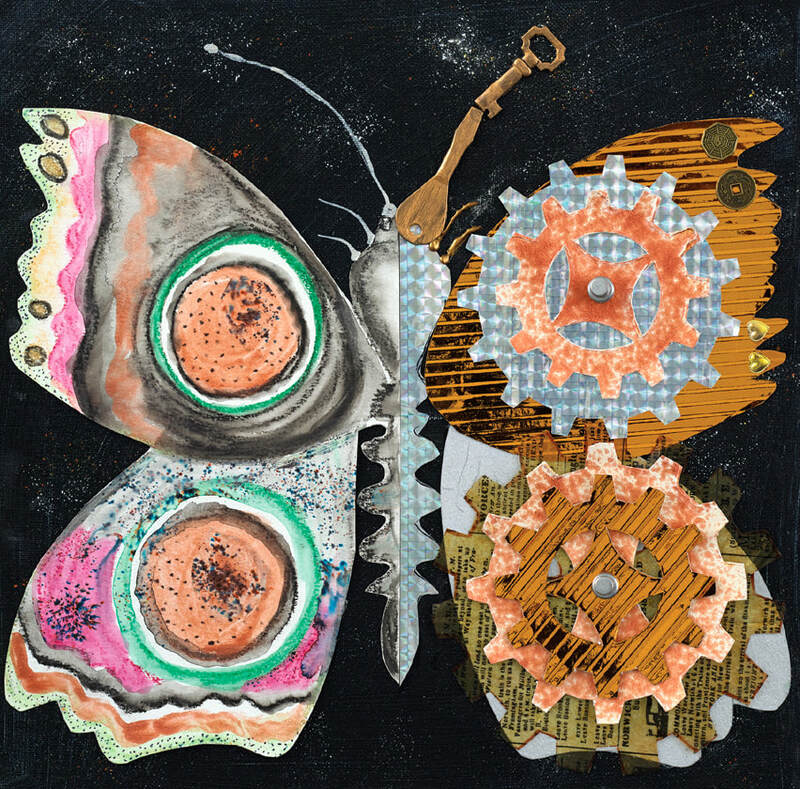 ​Students will create a mixed media steampunk butterfly using gear stencils, metallic papers, old book pages, and tacks on a canvas board. This is Dawn's 13th year of teaching Home School Art at the Hayner. She has taught a variety of youth art classes at the Hayner in addition to being one of our art instructors for the past thirteen years at the ever popular “Art Day Camp”. Dawn graduated from the School of Advertising Art in Kettering, Ohio. "I am very blessed to be able to balance my work at the Hayner with my job at Troy Christian Elementary, where I teach at to kindergarten through sixth grade." I may need to ask those students to join the other session for their age group. If a class has a Part I and Part II - Student must sign up for both parts to complete the project.